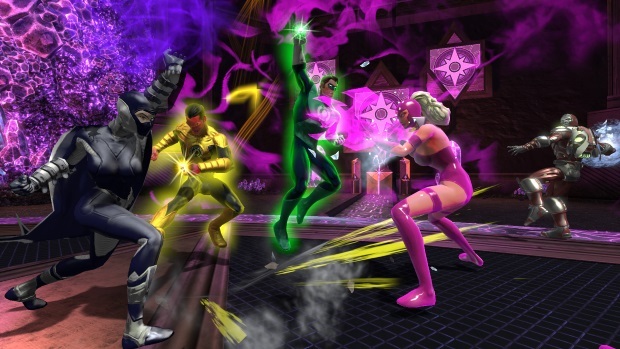 Sony Online Entertainment LLC today announced that the continuation of DC Universe™ Online‘s (DCUO) War of the Light trilogy, War of the Light Part II, is now available for the PC, PlayStation®3 computer entertainment system and PlayStation®4 system. In the game’s 12th downloadable content (DLC) pack, players continue to unravel the mystery behind the loss of the emotional entities and their connection to the Emotional Spectrum. STORYLINE: The fate of the entire Emotional Spectrum hangs in the balance of an uneasy alliance between Green Lantern Hal Jordan and Sinestro in War of the Light Part II. Feeling that love has been endangered by this relentless war, Carol Ferris and the Star Sapphires have also come to Earth to restore their own entity and stop the strife … and all who get in their way. JENS’ TAKE: “The introduction of Larfleeze and the Star Sapphires in War of the Light Part II adds a lot of depth to the story. And, with nearly all the Corps now part of this epic trilogy, players really get to dig deep into Lantern mythology. They’ll also get to see their favorite iconic characters like Wonder Woman and Harley Quinn infused with the mystical mists, which adds even more interesting elements to the story.” – Jens Andersen, Senior Creative Director, DC Universe Online. Was there really a choice between any of the other loa than Baron Samedi? As soon as I heard “Voodoo”, he came to mind immediately. Sign up for the shooter MOBA that's bigger than life.